I understand it’s tough to get behind the Reds right now. They’ve lost seven in a row and have rookie Asher Wojciechowski pitching. The Dodgers are playing well with seven wins in their last eight games. But Cincinnati is an attractive home ‘dog to me at this price. How’s that? Let’s begin with who the Dodgers are pitching. It’s Hyun-Jin Ryu. He’s on the comeback trail from elbow and shoulder injuries that limited him to one start last year. I don’t think Ryu is long for staying in LA’s starting pitching rotation with a 2-6 record and 4.42 ERA. The Dodgers are 0-7 during Ryu’s past seven road starts. Ryu got to face the Reds just this past Sunday at Dodger Stadium, a much more pitcher-friendly stadium than Cincinnati’s Great American Ball Park. 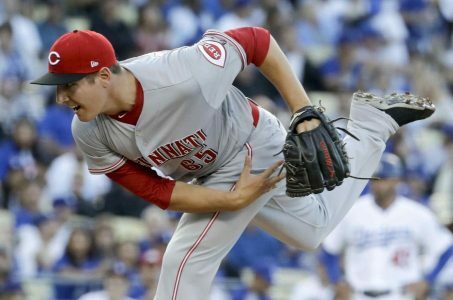 The Reds got to Ryu for four runs on six hits – including three homers – in four innings before Ryu was pulled. The Reds lead the NL in steals and rank seventh in the majors in homers. They have five players with nine or more homers. The Dodgers are just mediocre on the road at 17-16. The key is can Wojciechowski turn in a quality start? I believe he can. He’s proven himself so far at home with a 1.86 ERA at Great American Ball Park. Wojciechowski last pitched at home against St. Louis on June 5, two starts ago. He held the Cardinals to two runs on eight hits with six strikeouts in six innings. The Reds’ bullpen is upgraded with Tony Cingrani back healthy. Dodgers ace closer Kenley Jansen carries a fatigue rating having pitched in three of the last four days.